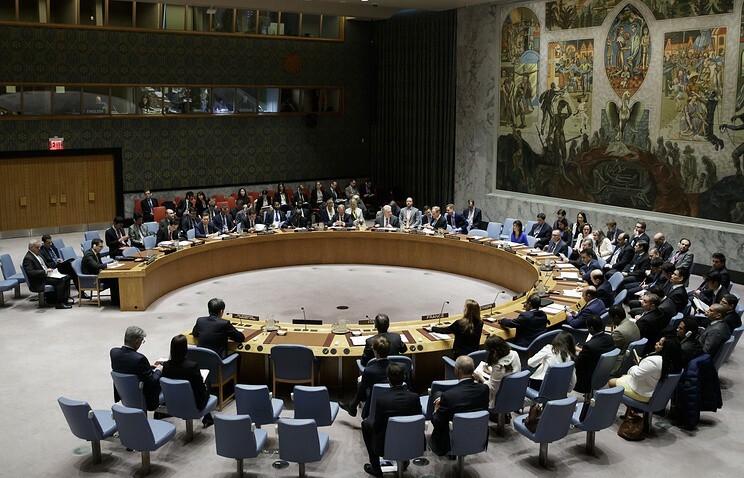 The UN Security Council will call an urgent meeting on Monday. The reasons for urgency is the latest chemical attack in Douma, the city in Eastern Ghouta, Syria; various media report dozens of fatalities due to the strike. 'UK, France, US, Poland, Netherlands, Sweden, Kuwait, Peru and Cote d’Ivore have called an emergency meeting of UNSC to discuss reports of chemical weapons attack in Syria. Meeting expected on Monday,' reads the message at the official Twitter page of the UK delegation in the UN. According to BBC, at least 70 people deceased in the recent attack on Douma; the Syrian government denies any involvement in the strike. Douma is the last city in Eastern Ghouta, controlled by the Syrian opposition. It is surrounded by the Syrian government forces, whioch enjoy the support of Russian troops.